Japan has some of the world’s oldest and most impressive sculptures. Many of them rank among the largest in the world. 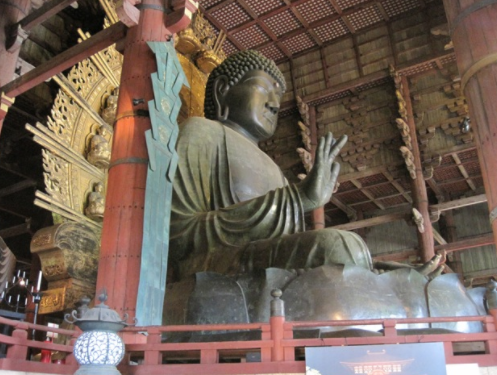 Ancient sculpture in Japan is often associated with religion. 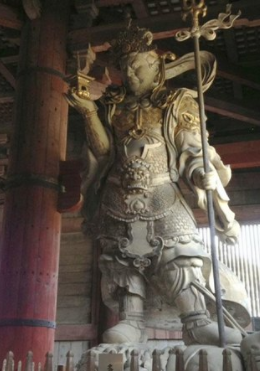 In Nara, Japan you can find the fearsome carved wooden protectors of Todai-ji temple that stand at 28 feet high, as well as a huge bronze statue of Buddha. Sculpture is one of the oldest Japanese artforms, dating back to the Jomon period (10,000 BC to 300 BC). 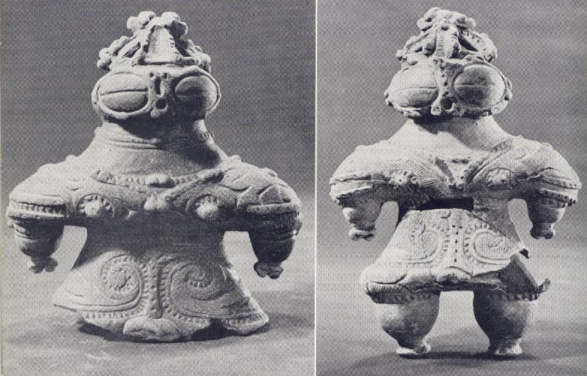 Clay figurines from that time, known as Dogu, were said to encourage fertility. However, there are many theories about what the figures actually represented. Maybe they were the images of goddesses people prayed to for food and safety. Maybe they were toys for the children of prominent families. Or, maybe they were aliens from outer space! We do not know for certain, but they do show us a glimpse into the distant past of Japanese sculpture. 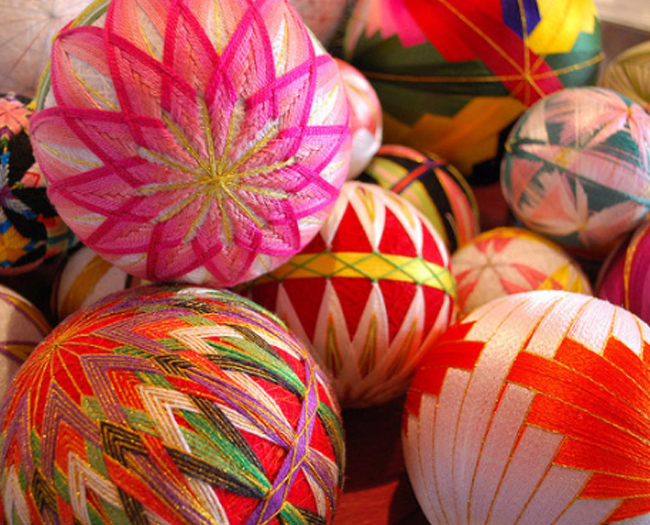 Today, sculpture in Japan is a popular way for young artists to express themselves. 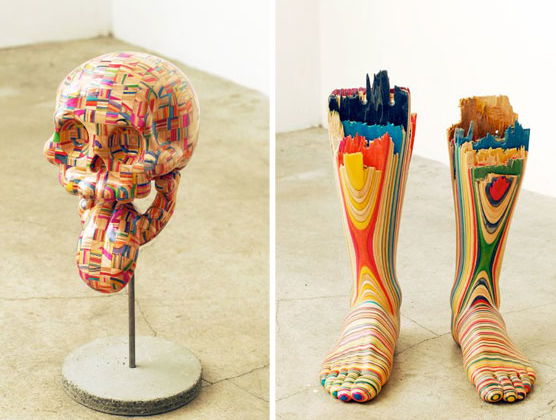 For example, Haroshi is famous for using unique materials in his work. 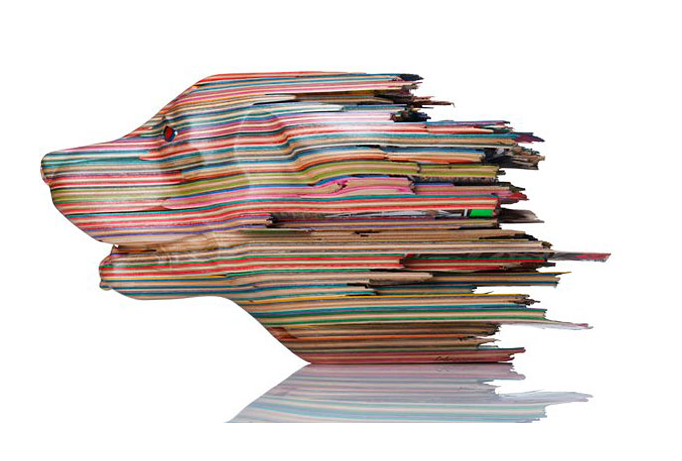 An avid skateboarder, he uses broken boards, wheels, and trucks in his sculptural work. 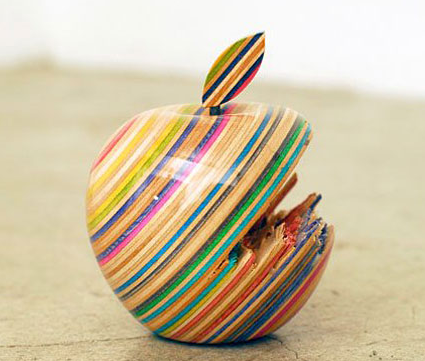 By gluing several skateboards together, Haroshi explores unique angles, colours, and design techniques. Modern sculpture in Japan has also created some very special tourist hotspots, like the remote island of Naoshima. Naoshima has been dubbed “art island” because it hosts sculptures from artists all over the world. 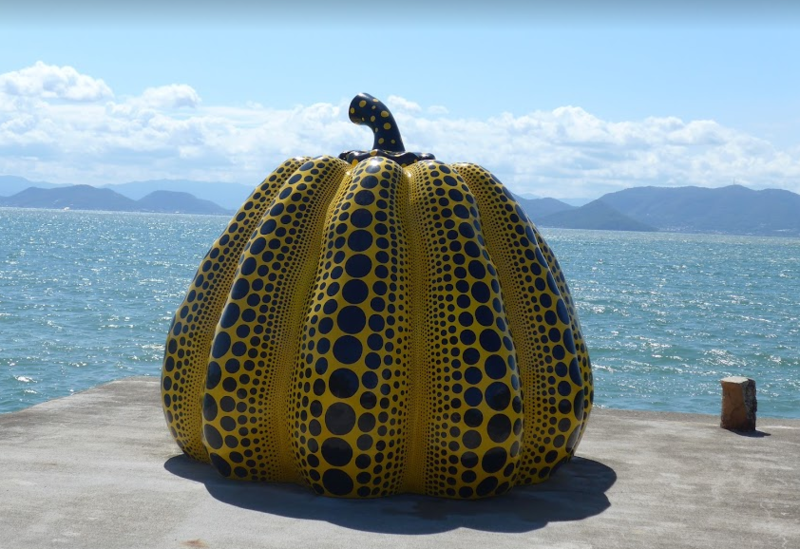 “Yellow Pumpkin” by the internationally acclaimed artist Yayoi Kusama is arguably the most famous piece of art featured on the island. Look out for more about Naoshima island later in the series. It is such a fabulous place that I have to devote a whole post it. Ancient sculptures can be found at the many thousands of temples throughout Japan, usually acting as protectors for the temples they call home. In modern sculpture, artists are able to explore the use of different textiles in unexpected settings to express themselves. 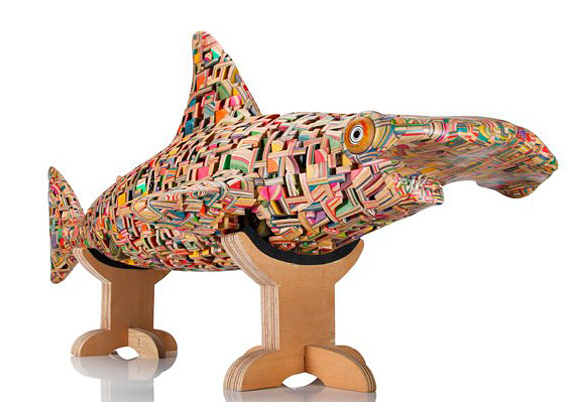 In the case of skateboard enthusiast Haroshi, he shows the world another way his favorite pastime can be used to create something beautiful and out-of- the box. 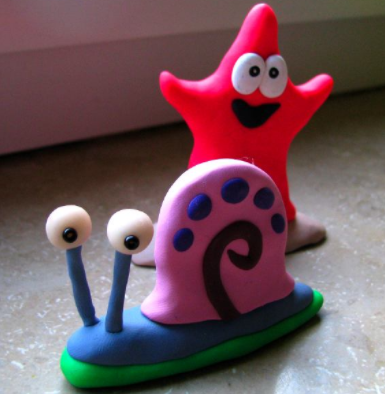 You can start creating your own sculptures today! Look around for tools and materials; sculpture is a great way to explore your creativity, using materials you feel comfortable with, just like Haroshi. To start, why not think about using clay? Clay can be found in almost every art store and it’s easy for beginners to start with. Start simple. Develop your technique over time! Watch this video from Nara Factory for some tips on getting started with clay sculpting. We’re excited to see what you come up with. Share your sculptured creations with Artsmith! Use the form below or tag us @ArtsmithNY on Twitter, Instagram, and Facebook and use the hashtag #ArtsmithJABS.